A clear and concise introduction to statistics for business and management students, demonstrating how important statistics are in the business decision-making process and covering everything from conducting a survey and collecting data, to summarizing statistical data, and presenting findings. Each chapter features a real-world business situation and accompanying dataset, the reader is then encouraged to identify the correct statistical concept in the chapter and solve the problem outlined. Offering students a chance to use the newly learned theory in a practical way. A “Review of Essential Mathematics” prologue, featuring tests and further links to help students refresh their knowledge of the core mathematical concepts used to calculate basic statistics. Updated screenshots on using IBM SPSS and Excel. A “Statistics in the Real World” feature included at the end of each chapter, demonstrating how statistics are applied in real-world business settings and research, accompanied by reflective questions. Updated case studies, examples and diagrams, illustrating key points and helping to reinforce learning. The book is accompanied by free online resources including step-by-step video tutorials on how to use Excel and IBM SPSS, datasets and worked solutions, an Instructors’ Manual, Testbank, and PowerPoint presentation slides for lecturers. 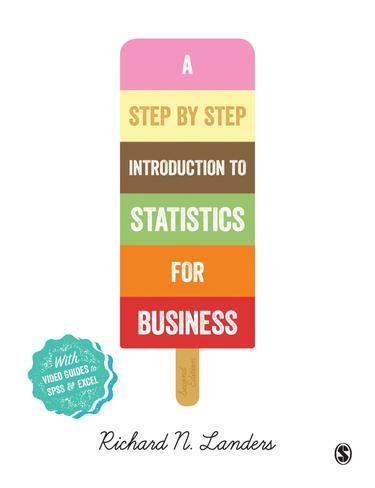 Essential reading for business students wanting to know how to use statistics in a business setting.